TAMPA — Ragon Frost slumped in his chair at the dispatch desk of the Hillsborough County Emergency Operations Center. His face was clammy and pale, his head and hands shaking. A 911 call came in just then, on the evening of Oct. 27, 2016. Frost, a paramedic and part-time dispatcher, couldn't answer. Colleagues rushed to his aid and called for an ambulance. He was administered naloxone to neutralize the effects of an opioid overdose. At least eight people saw what happened. Still, it took 14 months and two investigations for the county to determine that Frost's drug use was a problem for the people he was supposed to help. "Public safety is at risk when HCFR personnel ingest illegal drugs," the county concluded when it fired Frost in December. Public safety has been put at risk quite a bit in recent years. Hillsborough County has a documented history of drug issues — and alcohol abuse — among first responders. A Tampa Bay Times investigation found 47 drug- and alcohol-related incidents involving county fire rescue employees since 2010. One paramedic died of a drug overdose. Another stole morphine from a truck and replaced it with saltwater. A firefighter investigated after his son's death had materials to evade a drug test in his home. At the crux is a system for addressing drug use that is far weaker than most similar-sized fire departments in Florida. Employees aren't randomly tested — they know urine samples are collected only in January or July. And as the incidents stacked up, county officials further relaxed drug and alcohol policies for firefighters, and dismissed a dire warning from a former employee. Experts and former employees wonder if the department does all it can to help firefighters and paramedics cope with the realities of a job that exposes them to children burned alive and innocent people struck by stray gunshots. Patrick Morrison, with the International Association of Fire Fighters, said the department may not be looking for patterns as it should. He said Hillsborough leaders must ask the question: "What are we doing wrong here?" Hillsborough County Fire Rescue has grown into the third-largest department in the state, nearly doubling in size in the last two decades. It has more than 1,200 employees and provides services to about 900,000 people in the county's unincorporated communities. Chief Dennis Jones arrived in 2015, lured out of retirement from Tampa Fire Rescue to clean up a department that was $1 million over budget and needed stability. Jones has faced highly public crises, including a pay-fraud investigation that led to the resignation of a top deputy and three commanders and the fallout from an employee involved in a violent biker gang. 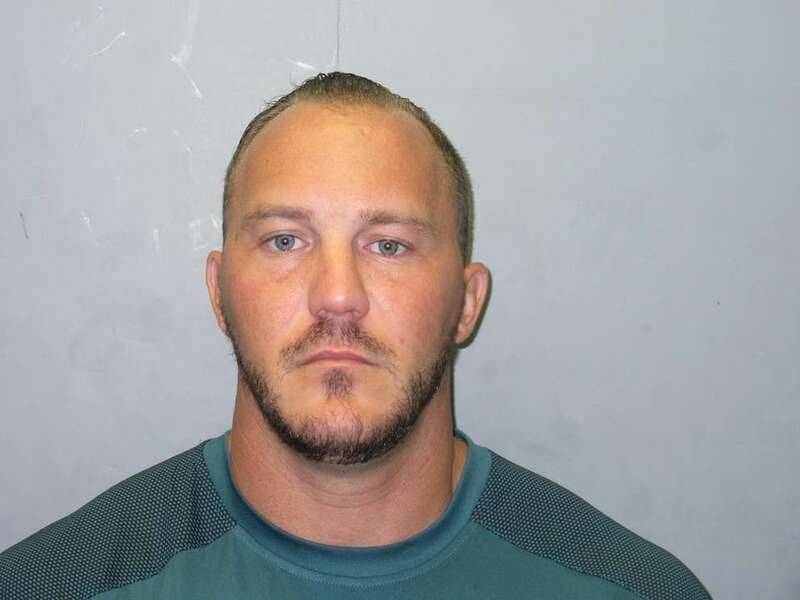 Former Hillsborough County firefighter Clinton Neal Walker was allegedly in the Outlaws motorcycle gang, prompting the county to ban participation in violent gangs. But he also walked into a department that had more quietly dealt with a persistent drug problem — and continued to do so after he started. "Every time that we've had an issue, I have acted promptly and within the limits of the county's policies and our policies to make sure we did all that we could to help," Jones said in a recent interview. "And if they were abusing legal drugs or using illegal drugs, then we're doing all we can to stop that practice." Jones said he is working with the fire union to strengthen policies and institute random drug testing. A resolution is expected in the coming weeks. The vast majority of his employees are "outstanding," Jones said, and Hillsborough residents should feel safe calling 911. Still, he said, "If we have one employee who tests positive for drugs or has a drug issue, then we have a problem. I want a totally drug-free workplace." Drug and alcohol abuses among firefighters were identified by the Times after reviewing thousands of pages of discipline records, internal and state investigations and police reports. These incidents involved employees from engine drivers to company captains. They occurred on the job and during off hours. Sometimes, rescue workers endangered themselves or each other. And sometimes, they endangered the people they're supposed to help. In the five years before Jones arrived, drugs meant for patients went missing or appeared tampered with on five occasions. In 2014, two county investigations looked into accusations that medics stole medicine from patients. Ultimately, in each case, it was the medic's word versus the patient's, and the medics were cleared. But investigators raised concerns about discrepancies in the paramedics' accounts and reports generated from the scene. Eleven employees failed a drug test from 2010 to 2015. One of them was medic Ronald Combs. A 2011 investigation discovered problems that overlapped in the months before and after he failed his test. Combs was found to have falsified documents. In some cases, his reports said patients weren't taken to the hospital when they were. Other times, he didn't document his care. It put the county at legal risk and meant seriously ill people went to the hospital without essential information about the treatment they had received. According to records, Combs blamed his behavior on "stressful situations in his life and recent medical issues." He was demoted but remained on staff until he retired in 2013. Pinellas County Sheriff's Office arrested fire medic Anthony Balbontin in 2013 during a domestic disturbance call. Balbontin admitted marijuana and ecstasy use and deputies found a glass pipe in his pocket, according to the police report. During a Hillsborough County investigation, Balbontin, who also previously failed a drug test, denied the allegations. But the investigator didn't find his account credible, and he was placed on administrative leave with pay for a week. A year later, he was promoted to driver engineer and remains with the county. 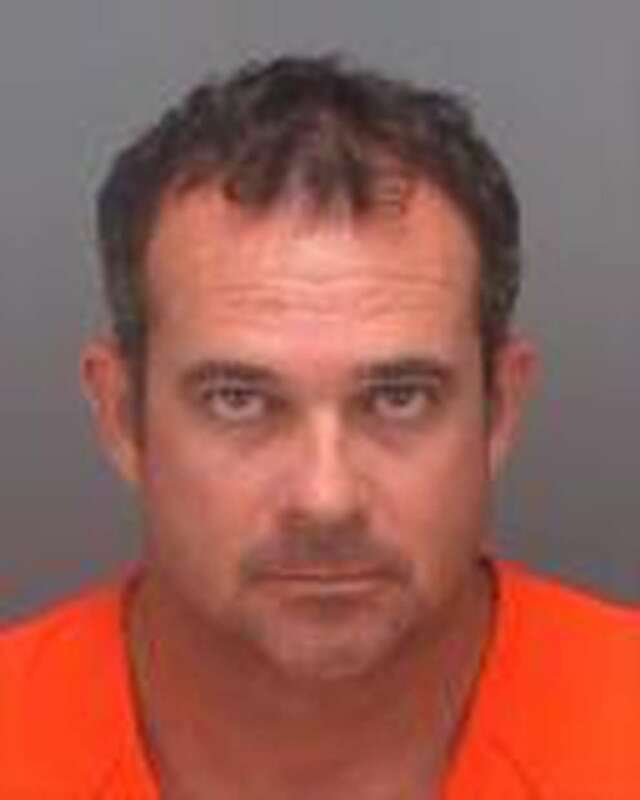 Troy Whitaker, a Hillsborough County firefighter, admitted marijuana use to the Pinellas County Sheriff’s Office deputy investigating his son’s death. So do Kenneth Brewer and Jonathan Belle. They attempted to join a Hillsborough County Sheriff's Office SWAT team as medics in 2016. Their applications were rejected because both admitted to drug use while working for county fire rescue. They were never caught by the department's drug testing system. Nor was Troy Whitaker. 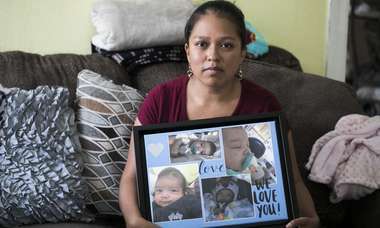 In September 2016, the Pinellas County Sheriff's Office investigated Whitaker when his 23-month-old son died after being left in a hot pickup truck for eight hours. Whitaker admitted marijuana use to the deputies, according to a police report. On his dresser, detectives found PU100, a powdered urine, along with test tubes and hand warmers — all the ingredients needed to circumvent a drug test. Whitaker, Belle and Brewer each received a written reprimand but were not suspended, records show. Jones would not comment on individual cases. In Hillsborough County, a failed drug test usually results in a one-day suspension and employees must complete a rehabilitation program before returning to work. In Pasco County, a failed drug test is automatic termination. In Broward County, it could lead to criminal prosecution. Generally, most departments grant employees an opportunity to rehabilitate. But most of the state's largest fire departments drug test more frequently. 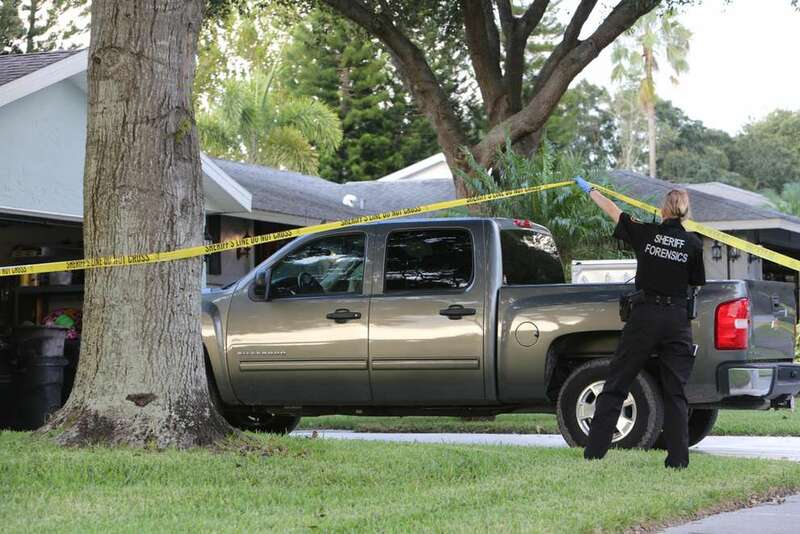 In Miami, Jacksonville, Orlando and Fort Lauderdale, and in Miami-Dade, Orange, Palm Beach and Pasco counties, an accident involving a county vehicle triggers a drug test for the driver. The department said it could not provide a list of all vehicle accidents, but records show there were at least 20 since 2011, including one engine driver who had three accidents in six weeks. Orange County tests if a first responder is arrested. Fort Lauderdale makes it a condition of any promotion. Miami-Dade does it with biennial physicals. Jacksonville, Orlando and others require it after someone is hurt on the job. None of those scenarios would trigger a drug test in Hillsborough under its collective bargaining agreement with the union, International Association of Firefighters Local 2294. The union contract allows for the semi-annual drug testing and testing for "reasonable suspicion" — a provision Jones could only remember using once during his tenure as chief. Of the state's other largest departments, only Miami-Dade doesn't randomly drug test throughout the year. Palm Beach County randomly tests some employees every week; most others do it monthly or at least every quarter. Orange County doesn't test as frequently, up to three times a year, but it also doesn't telegraph when a test is coming. Tampa Fire Rescue randomly tests an employee every other week. In Pasco County, it's every quarter. St. Petersburg, about one-quarter the size of Hillsborough, doesn't randomly drug test its fire rescue workers. Most departments also randomly test to see if employees have alcohol in their systems when they report to work. Hillsborough County Sheriff’s Office booking photo for Carl Staats, a former county fire rescue employee who was arrested for drunken driving in 2014. 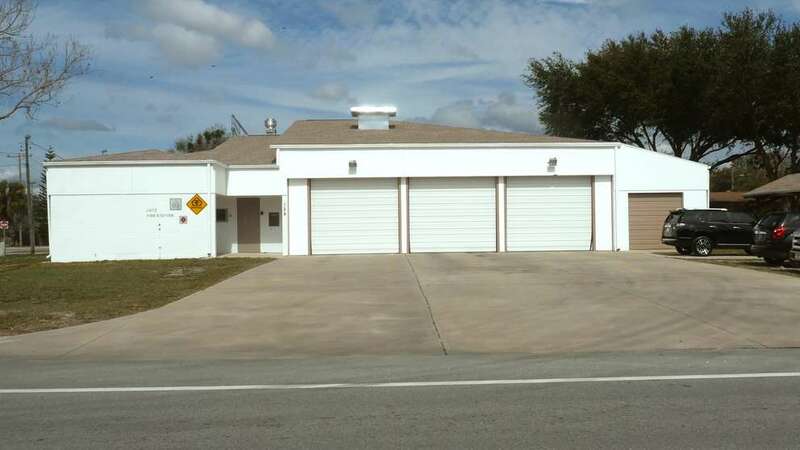 On seven occasions from 2010 to 2014 a Hillsborough fire rescue employee was arrested for drunk-driving related offenses, including driver engineer Carl Staats. In April 2014, Staats showed up to work appearing drunk. Wielding an axe, he threatened coworkers, said he would slash their tires and told one he would "kill your f—— daughter" if they called the police. A few weeks later, he was stopped on suspicion of drunken driving. A Breathalyzer test revealed a blood-alcohol level of 0.204, more than twice the level of 0.08 at which the law presumes a driver is impaired. He was suspended for five shifts but stayed employed for two more years before he retired. Three months after Staats was pulled over, Hillsborough County commissioners approved a new union contract through 2017. It loosened the rules. Until then, employees facing discipline had to submit to at least six follow-up drug tests throughout the year. The new contract said "up to six." A second failed test was no longer grounds for automatic dismissal. It made it harder to drug test for reasonable suspicion. "Periodic drug testing will not include the testing of alcohol." 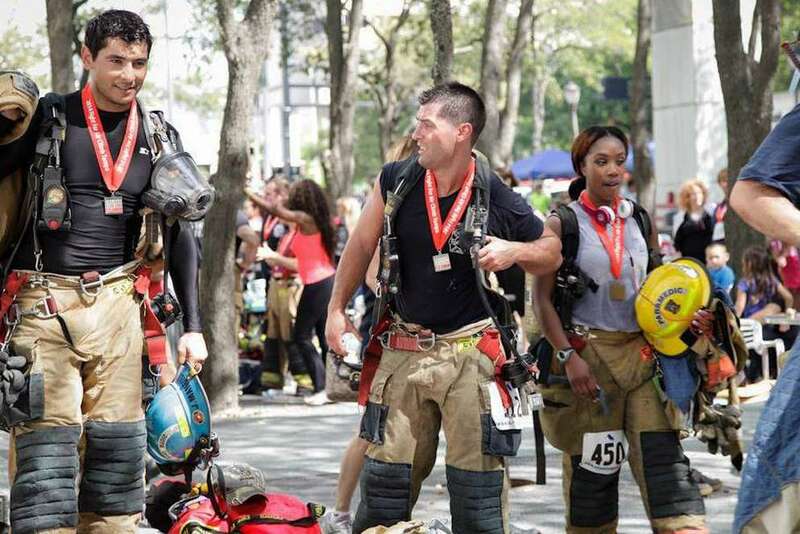 Nick Perez, center, participates in American Lung Association Fight for Air stair climb. Perez, who worked as a fire medic for Hillsborough County Fire Rescue, died of a drug overdose in 2016. On Dec. 31, 2016, 27-year-old Nick Perez was discovered at a friend's home face down on a couch, unresponsive. Vomit was on his mouth. Someone dialed 911 and attempted CPR. Perez, a fire medic for Hillsborough County, died four days later at Tampa General Hospital. The autopsy revealed that Perez overdosed on a mix of vicodin and an anti-anxiety medication, and that cocaine abuse likely contributed as well. The death came after a five-year career dotted with commendations. He had only one questionable action on his record. A year before he overdosed, Perez responded to a call with Thomas McCahan, another medic who was acting captain during the call. 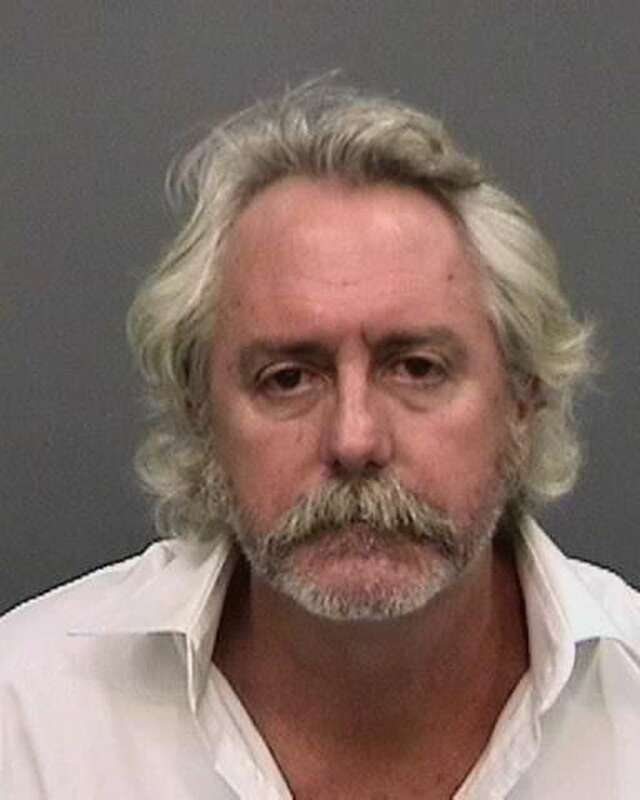 The patient's daughter, who happened to be a crime scene technician for the Tampa Police Department, accused McCahan of stealing her father's pain medication. McCahan denied the allegation. He was counting the pills, he said, checking to see if her father had taken too many. But Perez's report didn't mention that McCahan counted pills. It also indicated that the patient was alert — 15 out of 15 on the responsiveness scale — and didn't say over-medication was suspected. Instead, he was having difficulty breathing. Perez later said he didn't think to include the pill counting in his report and was cleared of wrongdoing. Asked if he would review that incident differently knowing how Perez died, Jones declined to comment. At the hospital, Jones comforted Perez's friends in the department over the loss of their colleague. One of Perez's closest friends there was Ragon Frost. Two weeks after Perez died, Jones signed off on Frost's annual review. He was an exemplary employee, his supervisor said. A leader. "Ragon Frost will one day be a captain," the reviewer wrote, "and I have no doubt he will continue to do an amazing job." Ten months later, Frost collapsed at work. A state doctor later attributed it to opioid intoxication. Marijuana, amphetamine and methamphetamine showed up in two drug screens. The state barred him from working as a paramedic. The Florida Department of Health demanded a follow-up test. He failed that, too. 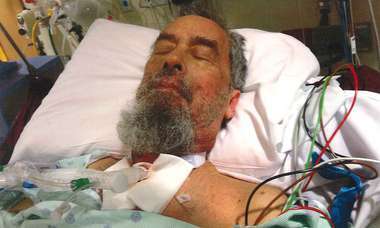 He admitted to a state doctor that he snorted an unknown substance the day after he was released from the hospital. Frost had "a history of anxiety attacks, difficulty relaxing, excessive anxiousness and difficulty sleeping … exacerbated by the shift work at HCFR," according to the state investigation. In June, the state determined there was a "significant likelihood that Mr. Frost will cause harm to patients in the future." For a time, Frost remained with the department on paid administrative leave. On Aug. 1, the Times asked for Frost's discipline records. Two weeks later, he was suspended without pay. On Dec. 23, he was fired. In January, Frost appealed his termination. It was denied. Reached by Facebook messenger, Frost, now 38, said he is involved in an "ongoing legal matter" with the county. Attempts to interview Frost were unsuccessful. Months after Frost's overdose, Alex Marenco spent 90 minutes at the Hillsborough County Sheriff's Office recalling what he saw during his time in fire rescue. Drug use was rampant, he told a deputy on the evening of April 10, 2017. Former coworkers commonly smoked marijuana outside work hours, but cocaine was a problem, too. He once saw a paramedic pocket drugs he found on a gunshot victim during a call. Before he finished talking, someone identifying himself as a sheriff's deputy called the county fire department and alerted them to Marenco's allegations, according to county emails. Minutes later, a fire rescue employee discovered a suspicious device outside fire station 24 in Lutz. The Sheriff's Office bomb squad was called in and an email went out to the entire department: Be on the lookout for Alex Marenco. Hillsborough County Fire Rescue reported a suspicious package outside a Lutz fire station on April 10, 2017. They told all employees to be on the lookout for Alex Marenco, a former employee who the department just learned had told law enforcement about alleged drug use among county fire rescue workers. The suspicious package later went missing. 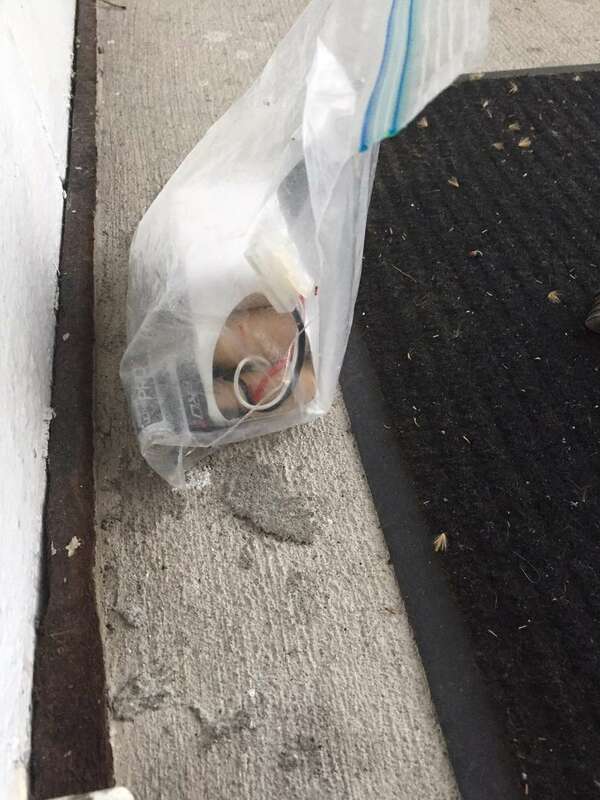 Authorities questioned Marenco about the suspicious device — which turned out to be a plastic bag of batteries and wires — even though he was sitting in the Sheriff's Office just before it was found. "They blew me off, and then they tried to put it back on me. They ruined my name," Marenco said. "What would happen if they really thought I made a bomb? The FBI would be here." HCSO cleared Marenco. But as the case was investigated, evidence went missing — the bag and photos of it — and a detective couldn't access surveillance video taken from a nearby business. "How do you lose evidence?" Marenco asked. The Times asked HCSO to explain how the case was handled. It was then referred to the Internal Affairs Bureau for review. Cpl. Kenneth Davis, who oversees HCSO's patrol department, acknowledged serious problems that demonstrated "bad police work." "It's pretty easy to see what this looks like and that's not what it is," Davis said. "But I can't prove that to you." According to the police report, Marenco was told by a detective to take his concerns to the fire department. Davis said, "That doesn't make sense." "We're the cops," he said. "When someone calls the cops and tells them about illegal drug use, we don't refer them to the fire department." Davis said the Sheriff's Office investigated the allegations last May, a month after Marenco visited the department, but no charges were filed. Some people interviewed attributed Marenco's claims to bad blood with a former coworker. Marenco, who left the department in 2015 because of a heart condition, acknowledged problems with another employee. But he said that didn't make what he said untrue or justify accusing him of planting a bomb. Jones said the department responded to a credible threat, based on the information it had, and "if the insinuation is that a person makes an accusation or a claim and we do something else to shut the whistleblower or the witness up, that is not the case." Asked if HCFR investigated the allegations made by Marenco, Jones said: "We take all concerns seriously, and we review and investigate them appropriately." The Times requested records related to any investigation. The department did not provide any. 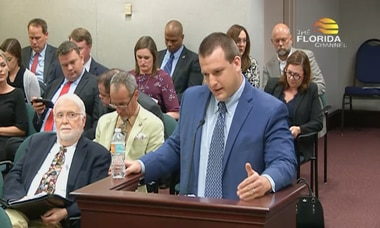 On Jan. 1, 2014, Hillsborough County Fire Rescue employee Landon West admitted to taking morphine from a county ambulance and replacing it with saline. During 25 years working with first responders and veterans, Gainesville psychologist Ernest Bordini said he has seen post-traumatic stress disorder rates among rescue workers in line with military personnel returning from war. In a field dominated by men, they're also less likely to seek help. "They see themselves as tough people who take care of others. That makes it difficult," Bordini said. "The other part is there are fears acknowledging a problem can cost you a job or your health license." Landon West quietly beat back his own addiction to opioids when he was a Hillsborough County Fire Rescue medic. He picked up the habit in 2009 from a high school friend and quickly found it helped with the stress, the lack of sleep, the bad calls. "I didn't really cope with it," West said. "I was going to school at the same time, full time. And everything about that job is geared toward overachievers, and I kept going and pushing myself when I should've backed off." He quit using drugs before he was caught. As part of his recovery, he said he told people in the department about his addiction. Three years later, a car accident left him with 20 stitches in his head and pain pills back in his pocket. He progressed to snorting, then injecting, the opioids. He used while working. And getting around the drug test was easy. He had a prescription for the opioids; he steered clear of other drugs in January and July. Rock bottom came early on New Year's Day 2014, when he tried to steal morphine off a rescue vehicle. He replaced the morphine in the vials with saline, or salt water. A coworker discovered the swap. 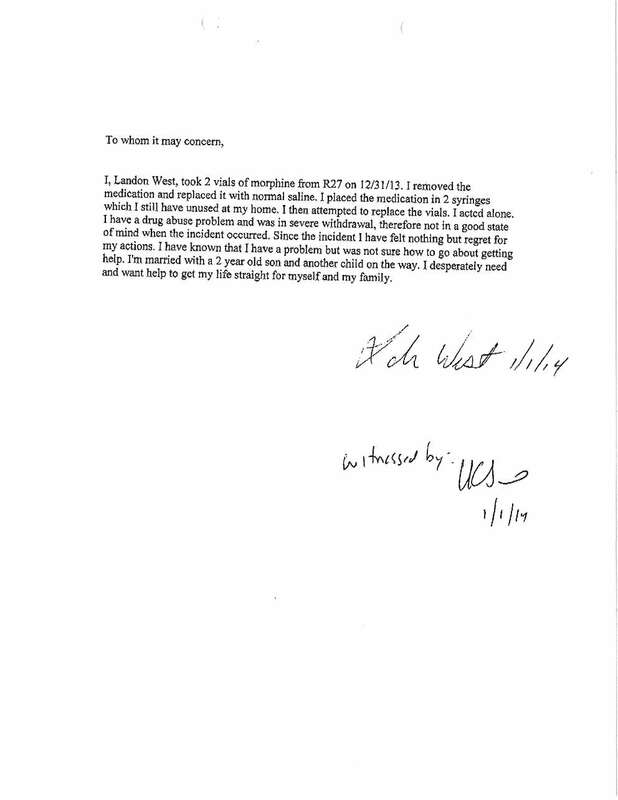 "I know I have a problem but was not sure how to go about getting help," West wrote in a statement at the time. Resign, or you're fired, he said he was told. He resigned. "Immediately, they wanted to wash their hands of me," West said. "I understand that I made a big mistake, but I also devoted six years of my life to the department and was an outstanding employee, and maybe they should've tried to help me. There was nothing. "There are probably plenty of people like me, and you never would know about it unless they screw up like I did." Nick Perez looked the part of the superhero fireman. Nick Perez, seen here in 2011, was a fire medic for Hillsborough County Fire Rescue before he died in 2016 of a drug overdose. Handsome and strong-jawed, he once made the local TV news battling a blaze in full gear; "PEREZ," embroidered on his back, flashed across the screen. He delivered a bed to a kid without one. He saved people's lives without expecting a thank you. But not every heroic moment ended happily. Dina Perez watched them start to wear on her little brother. Then a close friend died of cancer. By the worst of luck, he twice found friends on the other end of 911 calls. He watched them die as his attempts to save them failed. A baby took a final breath in Perez's arms. He was prescribed antidepressants, then started to medicate in other ways. Sometime in 2015, Dina Perez stopped recognizing the quiet kid whose sly grin gave away a prank that was coming, the boy who played guitar and would dress up in Pretty Pretty Princess jewelry just to make her laugh. "He was just really grappling with loss and the futility of life," she said. "He reached out to me about some of the drug use." She said he wanted to make a change but was determined not to step away from the work, still eager to help people and to advance in the department. 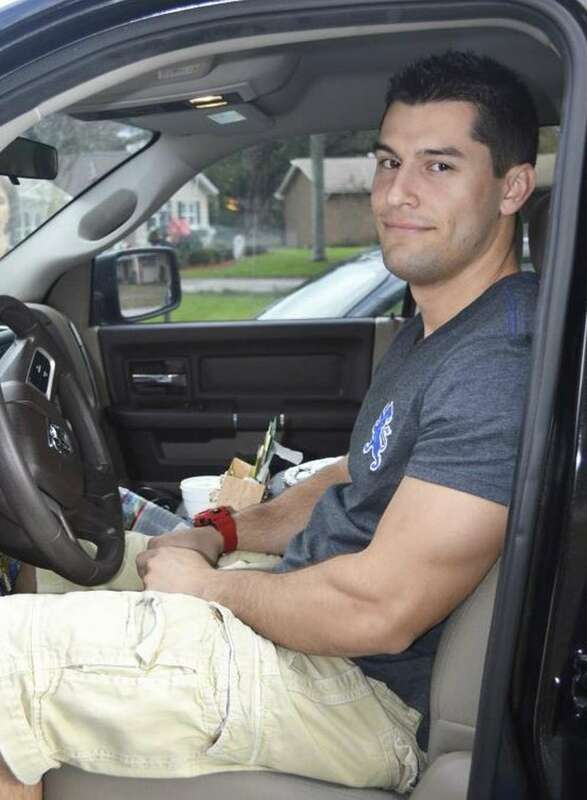 He moved out of his Tampa apartment and back in with his mom in Lutz. There were moments when Dina heard life again in her brother's voice and around Christmas 2015, they took a happy trip together to buy guitar strings. Within a few weeks, he was gone. More firefighters die from drug overdose or suicide than on the job, according to studies publicized by the National Fallen Firefighters Foundation. National organizations are starting to emphasize front-end treatment to help first responders cope. That means bringing in outside experts and encouraging leaders to admit flaws, said Bordini, the Gainesville psychiatrist. "If you're going to succeed in improving a department where there's been an unusual uptick or long-standing problem, I don't think resolving it is going to happen by accident," he said. There should be at least one employee trained in stress debriefing or peer counselling in every station, said Ronald Siarnicki, executive director of the National Fallen Firefighters Foundation. 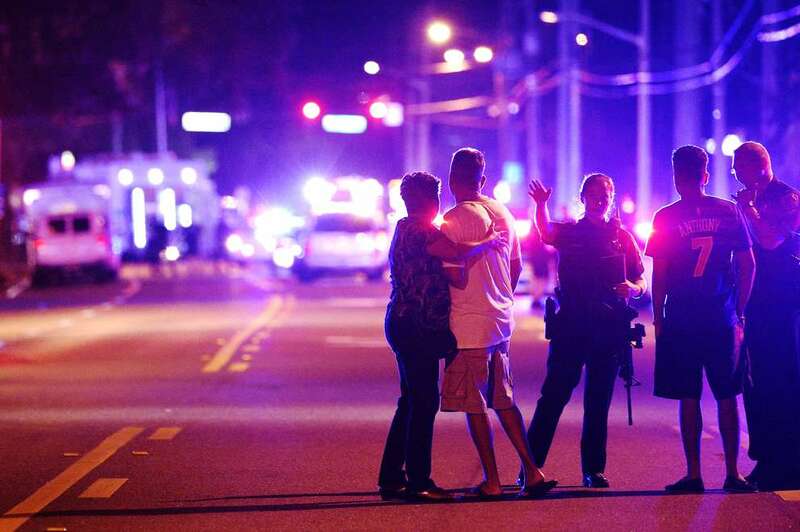 After the Pulse nightclub shooting in Orlando, Orange County Fire Rescue leaders noticed a greater need from employees for mental health services. The department now collaborates with six organizations and works to ensure policies "don't create unintended barriers to behavioral health treatment," spokeswoman Ashley Gipson said. One partner, the University of Central Florida, has a grant-funded clinical research program to study PTSD. 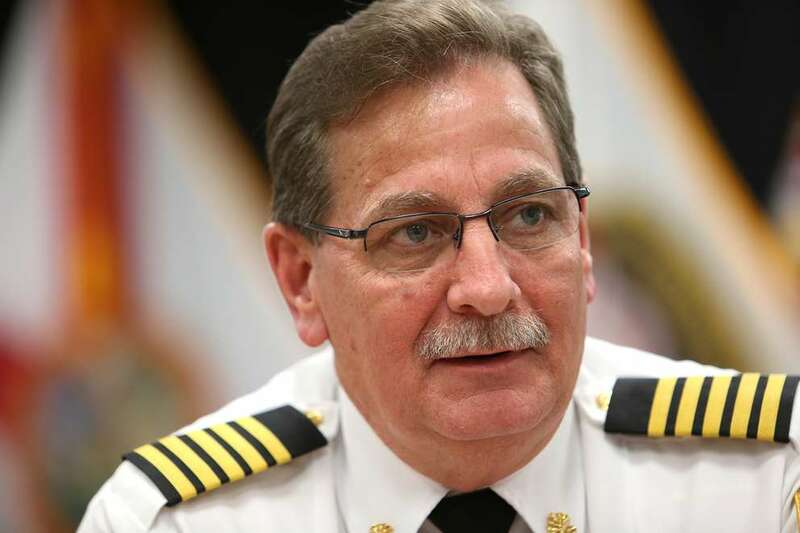 Jones, the Hillsborough chief, said he had added counseling services designed for stress relief after a bad call and increased the number of people trained in Critical Incident Stress Management from a couple to 10. The county has enlisted several chaplains to walk the 43 stations when needed. The county also has an Employee Assistance Program through Cigna, its health insurance provider. The program sets up employees with free counseling services. Sometimes, Hillsborough mandates it after an employee tests positive for drugs. "We preach it from the beginning of their career," Jones said. "Take care of yourself, talk to your family, talk to whoever. There was a stigma early in my career, 'Don't let anyone know.' But now it has been ingrained in the fire rescue service that it's okay to say, 'I'm hurting.' These are natural things." Marenco and West said they didn't experience that openness. "You have to admit that you're weak to take advantage of those kinds of things," West said. "The macho man-type mentality is part of the problem." The county and the fire union have tentatively come to terms on a new contract that Jones hopes will address substance abuse issues. For the first time, the contract would explicitly ban the use of illegal drugs outside of work hours. An accident at work could lead to a drug test. The department also would start to test randomly, five employees every two weeks. Employees won't be suspended if they fail a random drug test. Instead, they'll be placed on administrative leave until successful completion of a rehabilitation program. 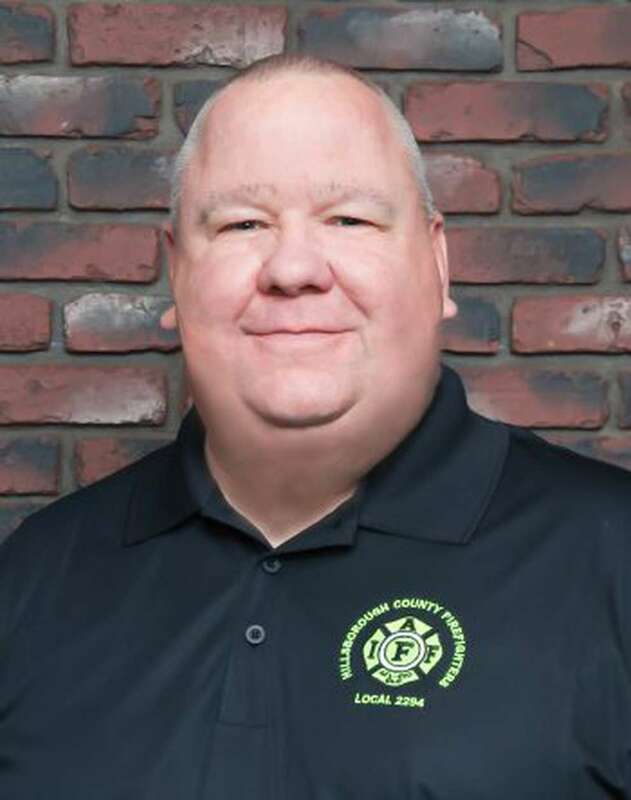 Derrik Ryan, president of the International Association of Firefighters Local 2294, the union that represents Hillsborough County Fire Rescue firefighters. The latest contract proposal still does not include alcohol testing. Rudy Haidermota, the county's lead negotiator on the fire rescue bargaining agreement, said that the county has for years "expressed a desire for and proposed random drug testing," but it was rejected by the union. Multiple attempts to reach union president Derrik Ryan were unsuccessful. On Jan. 11, the union emailed members and advised them not to talk to the media and said it was investigating how reporters are "gaining access to possibly protected employee information." Every document reviewed by the Times was obtained through legal public records requests. Dina Perez with her brother, Nick Perez, in the last photo they took together. Nick Perez was a Hillsborough County Fire Rescue employee, but struggled with depression after dealing with a series of traumatic emergency calls. He died of a drug overdose in 2016 at age 27. Dina Perez hopes her brother's death can call attention to the stigma that serves as a barrier to getting help. First responders, the governments that employ them and the residents who pay their salaries through taxes need to know what Nick went through, she said. His life was more difficult than the accolades would suggest, his death more complicated than his addiction. "I would like to be a part of a community and a world where if someone has an issue with drug use that they can speak freely about it and get the help they need sooner, without being encumbered by guilt or shame," she said. Morrison, with the International Association of Fire Fighters, said if an employee dies of an overdose, "You need to ask: 'Did we fail to see what was actually happening?' "
The Times asked the fire chief about the death of Nick Perez. The department didn't investigate, because it happened outside of work hours. Said Jones: "That's beyond our purview." 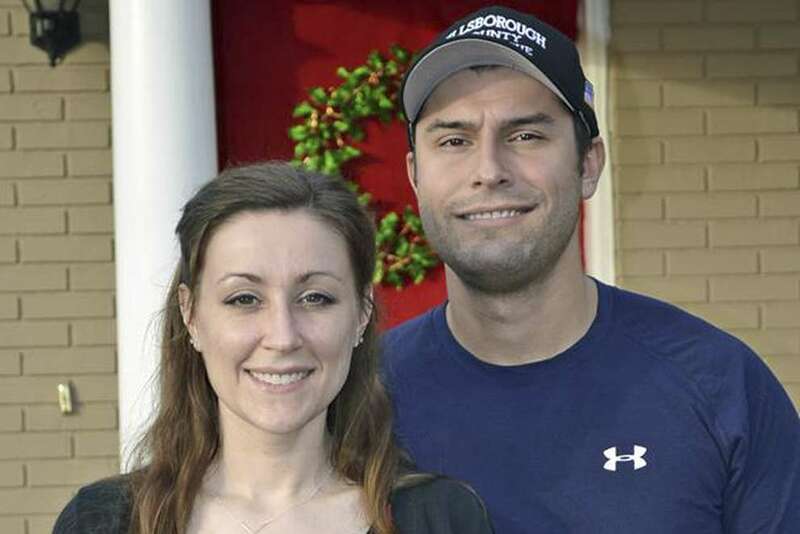 READ MORE: Her brother was a Hillsborough firefighter. Then he overdosed. What she hopes you learn from her hero. 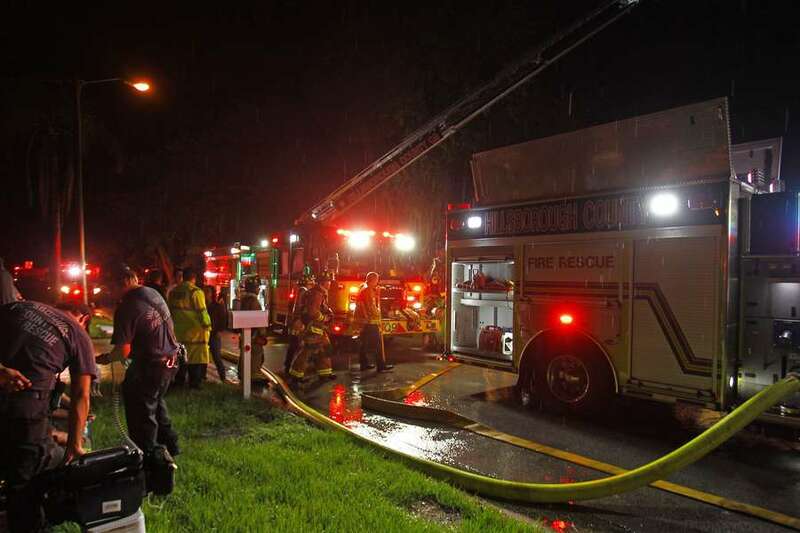 The Tampa Bay Times reviewed discipline and personnel records for more than 100 Hillsborough County Fire Rescue employees, as well as corresponding police reports and investigations by the Florida Department of Health, which oversees paramedic certification. In some instances, the county redacted the reason for a suspension, citing state law exempting drug test results from public record. The Times determined that those employees also had been suspended 24 hours — the punishment for a failed drug test — and an employee database showed them either participating in the Drug Free Workplace Program or disciplined for a positive drug screen. The Times defined an incident as follows: Instances when an employee was disciplined for drug or alcohol use or for egregious mishandling of the department's controlled substances while at work or for violating drug testing policies; investigations into tampered with, missing or stolen drugs; or arrests or medical episodes in which drugs or alcohol were involved. The Times began reporting this story in August and attempted to reach everyone mentioned in this story. Unless noted otherwise, former employees either declined to comment or could not be reached. The Times sought to interview current employees, and the county asked Union President Derrik Ryan if he or his members wished to make a statement. The Times did not receive a response.